Here we will work with face detection. Initially, the algorithm needs a lot of positive images (images of faces) and negative images (images without faces) to train the classifier. Then we need to extract features from it. For this, haar features shown in below image are used. They are just like our convolutional kernel. Each feature is a single value obtained by subtracting sum of pixels under white rectangle from sum of pixels under black rectangle. Now all possible sizes and locations of each kernel is used to calculate plenty of features. (Just imagine how much computation it needs? Even a 24x24 window results over 160000 features). For each feature calculation, we need to find sum of pixels under white and black rectangles. To solve this, they introduced the integral images. It simplifies calculation of sum of pixels, how large may be the number of pixels, to an operation involving just four pixels. Nice, isn't it? It makes things super-fast. 使用所有可能的核来计算足够多的特征。(想象一下这需要多少计算量?仅 仅是一个 24x24 的窗口就有 160000 个特征)。对于每一个特征的计算我们 好需要计算白色和黑色矩形内的像素和。为了解决这个问题,作者引入了积分 图像,这可以大大的简化求和运算,对于任何一个区域的像素和只需要对积分 图像上的四个像素操作即可。非常漂亮,它可以使运算速度飞快! But among all these features we calculated, most of them are irrelevant. For example, consider the image below. Top row shows two good features. The first feature selected seems to focus on the property that the region of the eyes is often darker than the region of the nose and cheeks. The second feature selected relies on the property that the eyes are darker than the bridge of the nose. But the same windows applying on cheeks or any other place is irrelevant. So how do we select the best features out of 160000+ features? It is achieved by Adaboost. For this, we apply each and every feature on all the training images. 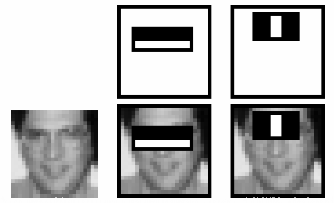 For each feature, it finds the best threshold which will classify the faces to positive and negative. But obviously, there will be errors or misclassifications. We select the features with minimum error rate, which means they are the features that best classifies the face and non-face images. (The process is not as simple as this. Each image is given an equal weight in the beginning. After each classification, weights of misclassified images are increased. Then again same process is done. New error rates are calculated. Also new weights. The process is continued until required accuracy or error rate is achieved or required number of features are found). Final classifier is a weighted sum of these weak classifiers. It is called weak because it alone can't classify the image, but together with others forms a strong classifier. The paper says even 200 features provide detection with 95% accuracy. Their final setup had around 6000 features. (Imagine a reduction from 160000+ features to 6000 features. That is a big gain). So now you take an image. Take each 24x24 window. Apply 6000 features to it. Check if it is face or not. Wow.. Wow.. Isn't it a little inefficient and time consuming? Yes, it is. Authors have a good solution for that. 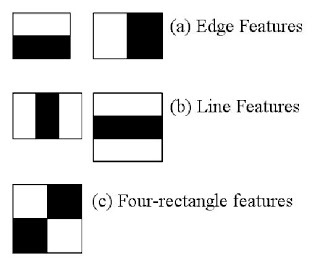 In an image, most of the image region is non-face region. So it is a better idea to have a simple method to check if a window is not a face region. If it is not, discard it in a single shot. Don't process it again. Instead focus on region where there can be a face. This way, we can find more time to check a possible face region. For this they introduced the concept of Cascade of Classifiers. Instead of applying all the 6000 features on a window, group the features into different stages of classifiers and apply one-by-one. (Normally first few stages will contain very less number of features). If a window fails the first stage, discard it. We don't consider remaining features on it. 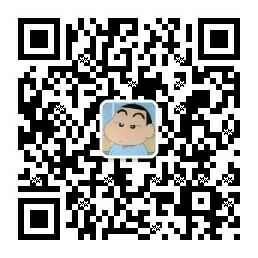 If it passes, apply the second stage of features and continue the process. The window which passes all stages is a face region. How is the plan !!! Authors' detector had 6000+ features with 38 stages with 1, 10, 25, 25 and 50 features in first five stages. (Two features in the above image is actually obtained as the best two features from Adaboost). According to authors, on an average, 10 features out of 6000+ are evaluated per sub-window. So this is a simple intuitive explanation of how Viola-Jones face detection works. Read paper for more details or check out the references in Additional Resources section. 为了达到这个目的作者提出了级联分类器的概念。不是在一开始就对窗口 进行这 6000 个特征测试,将这些特征分成不同组。在不同的分类阶段逐个使 用。(通常前面很少的几个阶段使用较少的特征检测)。如果一个窗口第一阶段 的检测都过不了就可以直接放弃后面的测试了,如果它通过了就进入第二阶段 的检测。如果一个窗口经过了所有的测试,那么这个窗口就被认为是面部区域。 这个计划是不是很帅!! According to authors, on an average, 10 features out of 6000+ are evaluated per sub-window. Here we will deal with detection. OpenCV already contains many pre-trained classifiers for face, eyes, smile etc. 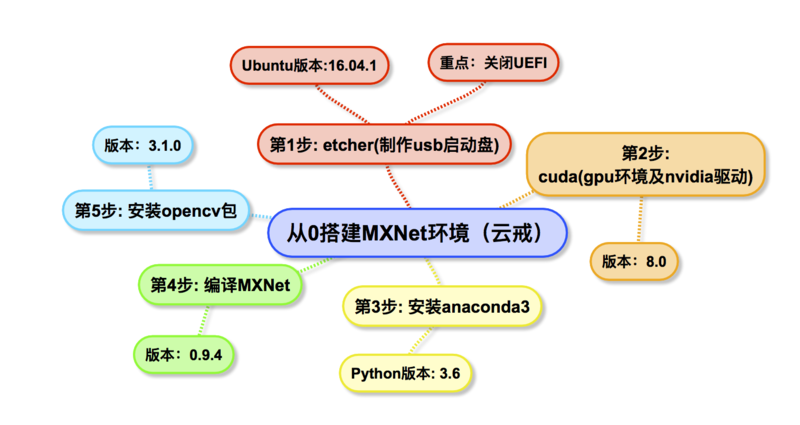 Those XML files are stored in opencv/data/haarcascades/ folder. 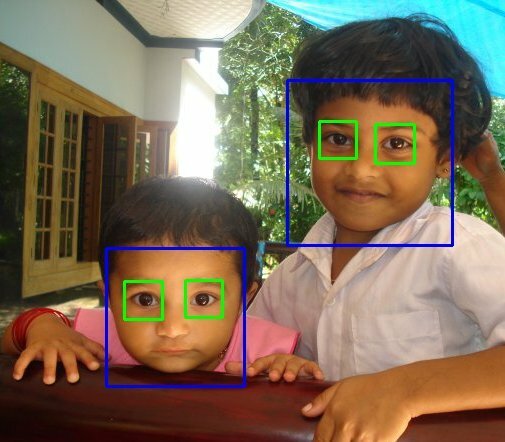 Let's create face and eye detector with OpenCV. #Detects objects of different sizes in the input image. # The detected objects are returned as a list of rectangles. #minSize – Minimum possible object size. Objects smaller than that are ignored. #maxSize – Maximum possible object size. Objects larger than that are ignored.